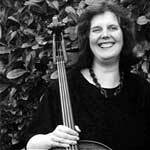 Jane Gomm (violin), director of the Ruskin Ensemble, is the daughter of the well known light music pianist Dennis Gomm. She studied with Fredericke Grinke at the Royal Academy of Music and Eli Goren at the Guildhall School of Music. 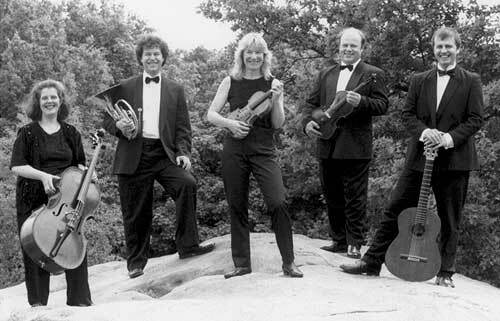 Since leaving music college Jane has toured Europe, Nigeria, Australia and South America with different chamber orchestras, including The London Mozart Players and The London Festival Orchestra. She is now a member of the City of London Sinfonia and the OSJ. Jane also leads improvisational workshops with children of all ages and cultural backgrounds and gives concerts in hospices and residential care homes. Jane is artistic advisor of an exciting new Festival in Tunbridge Wells - Musical Encounters 2005 - see the Festival web site here. Stephen Stirling (horn) greatly deserves his reputation as one of the world's leading horn soloists. He has made numerous concerto and chamber appearances at major international venues, and has worked with some of the most respected musicians of our time. 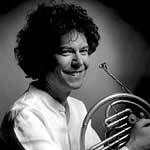 His many CDs include the complete Mozart Horn Concertos for the Classic FM label. 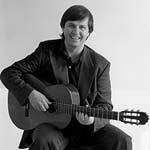 Jonathan Prag (guitar) - 2002 was Jonathan's eleventh highly successful year at the Edinburgh Festival where he has been featured live on the BBC and Classic FM. Brought up in Luxembourg, he studied drama at Bristol University and subsequently toured Europe and Canada with various companies as an actor and musician. Jonathan studied the guitar with the acclaimed guitarist Carlos Bonell and they have since performed together in an evening of words and music on the life of Spanish poet and playwright Lorca, entitled "All shall know I have not died". Jonathan performing the part of Lorca. Jonathan continues to combine his acting and music, including "Yes" with Eartha Kitt and "All True Love" with the Ruskin Ensemble. 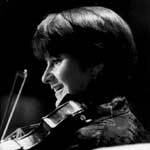 Alison Kelly (violin/viola) has appeared as a soloist, recitalist and chamber music player at major venues and festivals throughout the world and frequently broadcasts for the BBC. She studied at the Royal Academy of Music with Ralph Holmes and Emanuel Hurwitz where she won many prestigious prizes including the Marjory Hayward Prize, the Academy's highest award for violin playing. Alison continued her solo studies with the Russian violinist Nelli Shkolnikova in Australia. Alison leads and guest leads several chamber orchestras including the English Classical Players and is on the Professional Staff at the Royal Academy of Music. Stephen Wright (viola) is a founder member of the Chamber Orchestra of Europe which takes him around the world giving concerts and recording with some of the world's most notable conductors and soloists. He studied the viola with Gwynne Edwards and Carmel Kaine at the Royal Academy of Music where he won many prizes and scholarships. Stephen works as a freelance musician in London with some of the major orchestras and ensembles and is much in demand as a chamber musician. 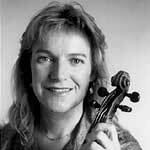 Jo Easthope (cello) studied the 'cello at the Royal Academy of Music with Lilly Phillips and Douglas Cummings where she won several chamber music awards and the Herbert Walenn Prize for Solo Bach cello suites. She also took part in music festivals throughout Europe and gave a series of chamber music concerts at the Paris Conservatoir. Jo has been a member of various Baroque Ensembles and the chamber music group 'Collage' as well as participating on the 'Live Music Now' Scheme including one performance in a brewery! 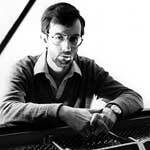 Clive Williamson (piano) has played as a soloist at the Barbican, Queen Elizabeth Hall, Wigmore Hall, St. John's Smith Square and many other venues throughout the UK and Europe. Clive studied at York University and the Royal Academy of Music in London, supported by the Countess of Munster Musical Trust. Since his solo debut in the Purcell Room, London, Clive has built a reputation as a performer of twentieth century music, in both solo and chamber music repertoire. 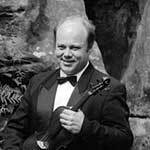 As an ensemble musician he is in considerable demand, working with many leading groups. He records regularly for the BBC, has collaborated on several television productions with leading composers and has recorded for many commercial labels.